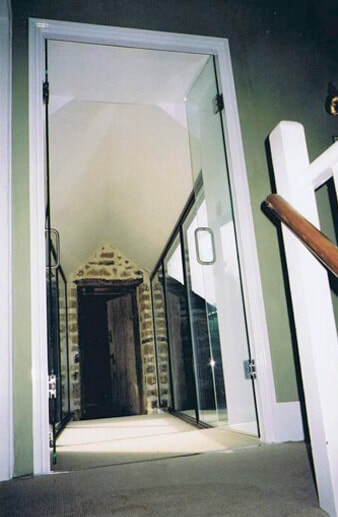 A contemporary bridge connecting new structure to existing house at first floor level. 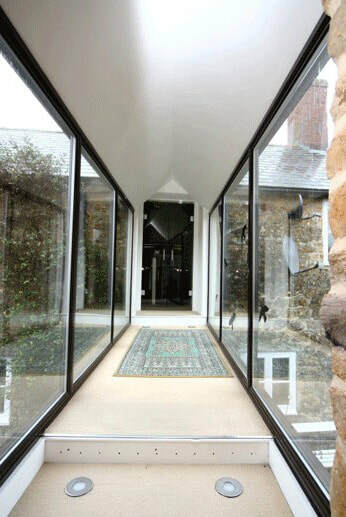 The architectural challenge in this project was how to link a Grade II listed cottage to an adjacent barn. 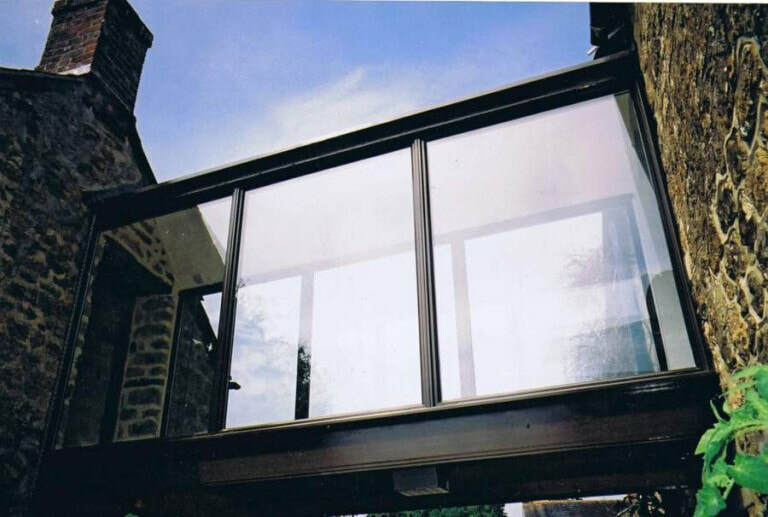 The preferred architectural aesthetic was a contemporary structure – a bridge at first floor level with full-height glazing at each side. To marry with each building, the roof is in slate.